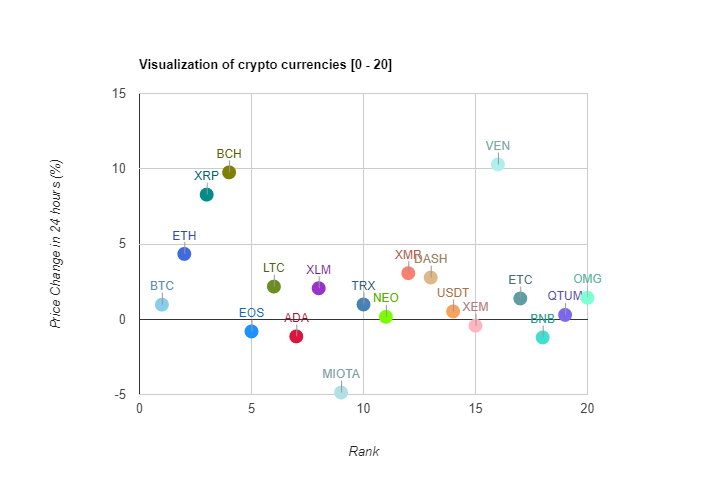 Here’s the visualization showing price change (in %) of top 20 crypto currencies in last 24 hours. VeChain is having more than 10% price gain! Next Next post: What are some of your favorite decentralized crypto gambling sites and why?